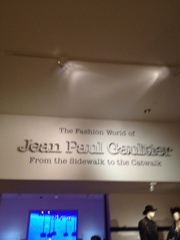 Kiss got the pleasure of visiting the Jean Paul Gaultier exhibit at the Dallas Art Museum Friday, February the 10th and it was definitely breathe taking. More than 4 rooms filled with not just fashion, but art. The mannequins came alive in every women literally. 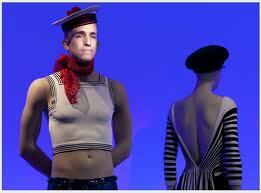 He used a form of modern technology to allow the mannequins to talk and have facial expressions. 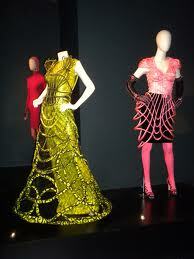 Each piece not only had the hours it took to make it, but some even stated what celebrity wore it and where. This designer is a true artist. He had a vision from a little child and he made it a reality. 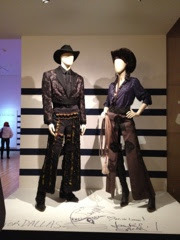 The details, the fabrics, the colors, the accessories all came together to make a work of art on each mannequin. We wish we could show you what Kiss saw, but they wouldn’t allow camera’s into the gallery. If you have a chance to see this exhibit you definitely don’t want to miss out on this breathe taking master piece. This is what Kiss saw when she first walked in, a great tribute to Texas signed by the artist/designer himself. 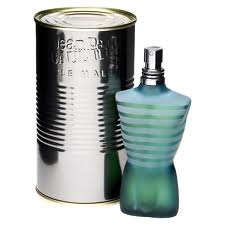 He also has several Perfumes on the market that you don’t want to miss. After having the pleasure to view this exhibit we will try to make it to many more,although we are sure nothing will compare to what Kiss saw when she walked into the Dallas Art Museum February 10th. 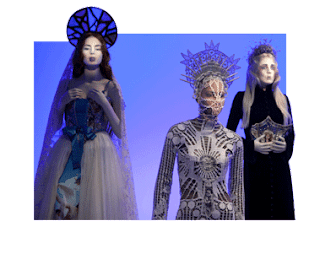 Jean Paul Gaultier is more than just a designer, he has a vision, a gift, and he allows each piece to come alive.